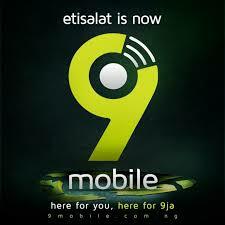 Following the Abu Dhabi-based Etisalat Group withdrawal from Nigeria, and termination of the management's agreement with its Nigerian arm, the Emerging Markets Telecommunication Services Limited, EMTS, has said it will adopt a new approach to migrate to the brand. He stated that the new trading name, 9mobile, represented the company’s 0809ja heritage, 9ja-centricity, and its evolution over nine years of operations in Nigeria. He further stated that “A strong and resilient Nigerian spirit continues to reside in us, uniting us with our subscribers, confident that you will continue to believe in our new brand, which strongly reflects our innate creativity and youthfulness.